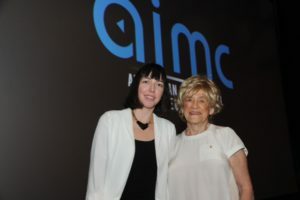 Courtney Botfield was awarded the 2015 Fellowship at the Australian International Movie Convention. Courtney is a distribution specialist with over 15 years’ experience in independent film and has recently developed a focus on the burgeoning field of impact producing, targeting films with strong social messaging and the potential for creating real change. 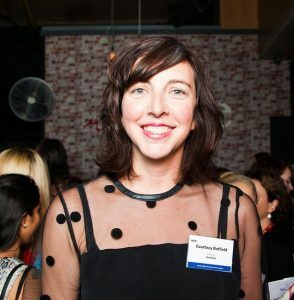 She joined with Tracey Mair to set up The Goodship Agency, a film distribution and marketing agency that designs and leads innovative pathways for the financing, distribution and marketing of film, television and on-line productions across documentary and features. With her grant, she plans to fill the market gap in this area, through increasing her knowledge and practice of sourcing innovative pathways for the financing and distribution of these types of films. Botfield attended the Tribeca Film Festival in New York and Hot Docs in Toronto, met with leading practitioners, and engaged with business mentors aligned with the philanthropic and social enterprise sectors. “The Fellowship has afforded me not only invaluable new professional relationships and opportunities but, most importantly, the confidence and focus to pursue my career goals and I encourage all aspiring women in the screen industry to apply.